Framing for the Fortune 500 - Framing Systems, Inc.
What’s it like to be under the microscope of a Fortune 500 company? If you’re thinking a localized, Cleveland-raised team like Framing Systems wouldn’t know, you couldn’t be further from the truth! We recently have been putting all of our efforts towards creating a brand new Travel Centers of America national call center out of a retired Pat Catans craft store in Westlake, OH- making old into new as only Framing Systems can do. The two-story, 32,000 square foot building was planned in view of handling calls from all Travel Centers locations nationally, 27/7/365- as well as double as the Operations Center for the Road Squad team assisting trucks requiring roadside service. 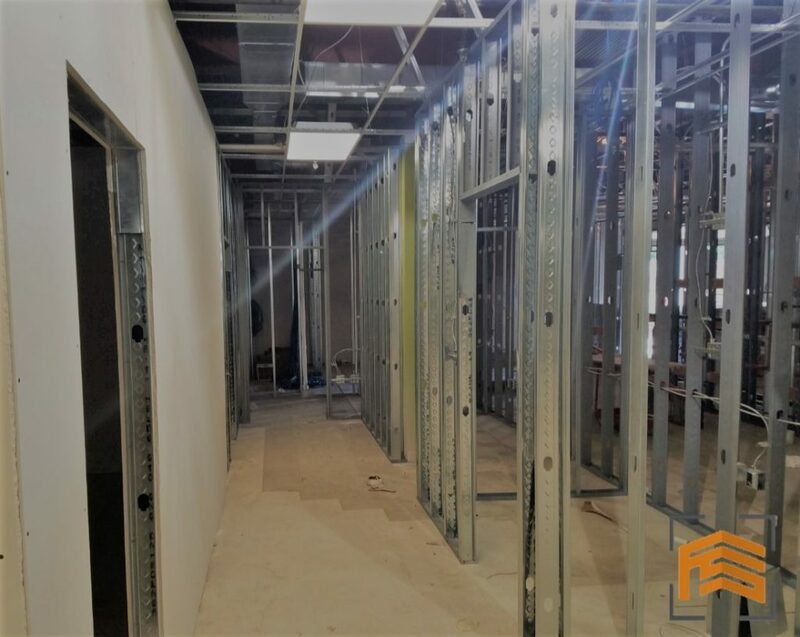 The vital piece of real estate was obtained in early 2017 and was transformed through our work from a former retail environment to a corporate call center in just ten weeks. With top executives of TA checking in daily from the corporate headquarters located next door, our team flawlessly carried out a smooth completion to the now-operational center, from demolition to final finishes. Travel Centers is one of Westlake’s largest employers, and Framing Systems is honored to have been a part of their significant investment in this expanded and improved call center! Our team has helped the best in the industry transform old spaces into new, saving countless hours and money- and we can help you too. Give us a call at 216.930.4380 to find out how!